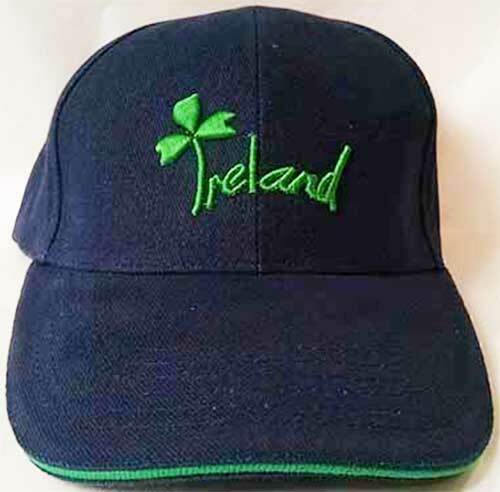 This Irish cap features an embroidered Ireland and shamrock design. The navy blue shamrock cap features a Kelly green design and accenting. The cap is 100% cotton and has a Velcro strap for size adjustment; the one size will fit most adults. The Irish cap is received with a shamrock history card, complements of The Irish Gift House.